Having lived on Maui since 1978 as a youthful 26 year old with my 23 year old brand new bride Laura, we have seen tremendous changes on the Island and in the state. When we moved to Maui, there were 4 stop lights on the island and everything except churches were closed on Sunday. We have lived on Maui for 40 years and have lived a wonderful, bountiful life raising our family here. We have huge seen huge growth on all fronts. We produced a family of three children, all born on our farm in Haiku. Jeremy, 35, is married to Megan and lives in Kaanapali. Brianna, 30, is a career police officer and lives in Kahului. Chloe, 26, is married to Zack and lives in Yakima, Washington on their ranch. 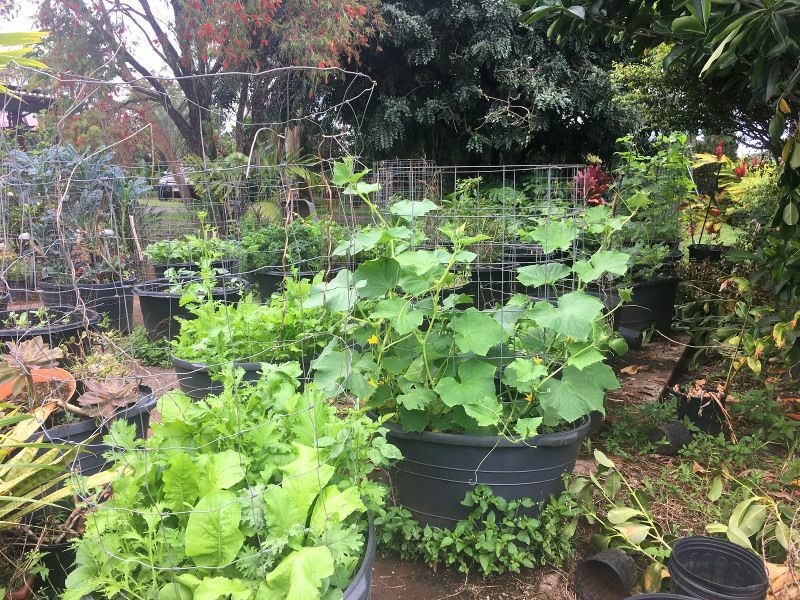 What is really interesting is that they are all returning to their roots, living and growing up on a farm in Haiku Maui. All three grew up feeding chickens, working in the yard and garden, helping to cultivate a bountiful coconut grove that was planted to help pay school tuition and just learning a great fundamental work ethic. Now, they all have their own little farms. Laura and I purchased 5 acres that was an abandoned pineapple field with no trees, together with my mother, Janet in 1978 that had a tiny 500 sq. ft. cottage on it. We moved to Maui right after our honeymoon with no jobs, no friends, $2,000 and a mortgage payment of $1,000 a month. We were so happy to get out of the crowded hustle of Southern California and to make a fresh start on Maui. No challenge seemed too great. 40 years, three children, and many ventures later, we still live on the same property. Waking up each day, I love to walk outside and visit my orchards and animals. 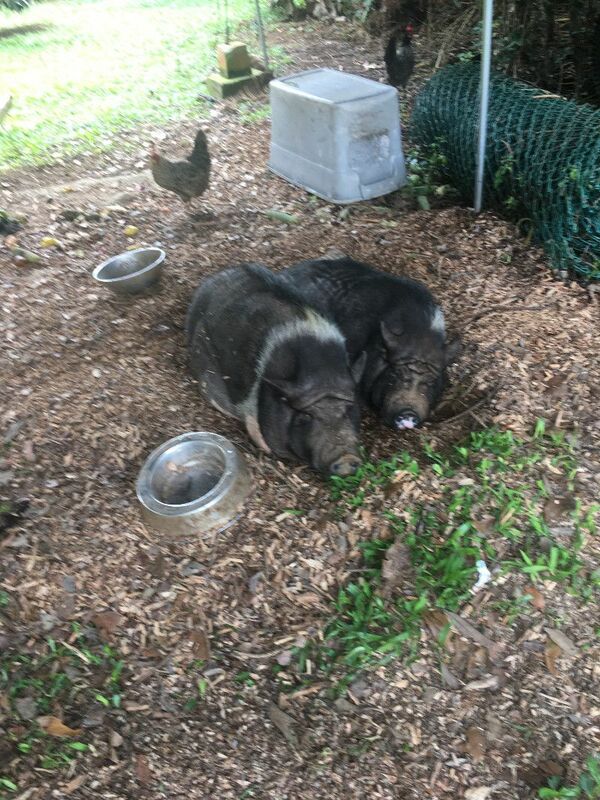 We have two 16 year old pigs, Smarty and Leilani, that Chloe and Brianna wanted as pets when they were teens. The human girls have moved on, but the pig girls still sleep side by side and I do geriatric pig care for them. I am the chicken person. For 40 years, I have raised chickens for eggs, yard clean up and company. When it is feeding time, I feel like the Pied Piper as they all follow me into the pen for supper. What I get back is a bountiful supply of fresh eggs, sometimes 30 a day! Gardening and orchards are also a passion of mine. With year around summer-like weather, winter never is a factor. Look at the picture of my raised garden in February! We enjoy the bounty of fresh fruit and vegetables all year around and don't have to depend on imported produce or eggs. We get constant crops of every kind of citrus you can imagine. 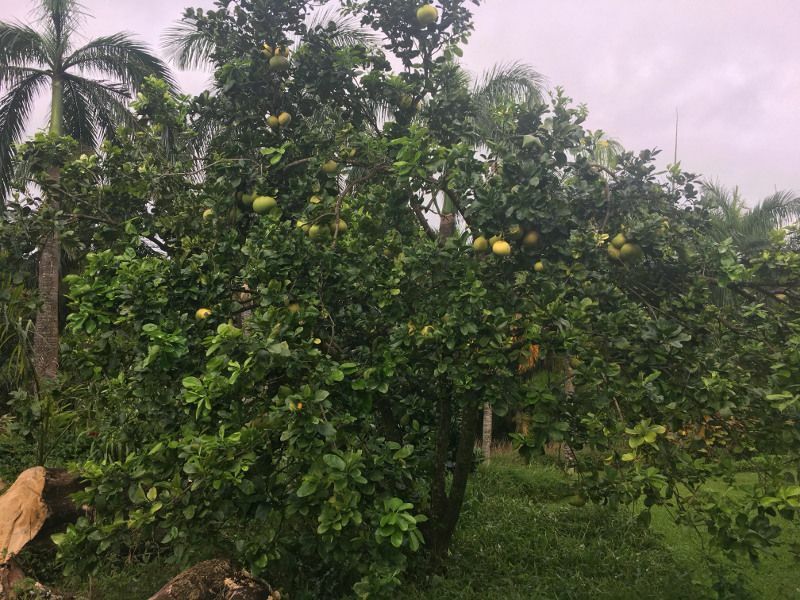 I have limes, lemons, tangelo, calamanci, oranges, pomelo, and the list goes on. Add to that, several types of bananas, breadfruit, sapote, starfruit, lychee, longan and many others. Our crops are so often and so bountiful that we donate to schools, the local food bank and homeless shelter. When you add in a huge PV power system, solar hot water, and water storage, things even look better. When the boats stop coming to Hawaii for a while, at least we can survive. If you live in area surrounded by millions of people, freeways, crowds, and lines for everything, every place you go, Hawaii and especially Maui, start to look like a pretty good alternative. Take winter out of the pictures, add in year around water clean ocean with lots of waves and whales, world class golf, and a very friendly population, then things look even better. It is no wonder that Hawaii has the longest lifespan in the United States, year after year. If you are interested in retiring to Hawaii, you may want to read another blog I wrote all about retiring on Maui. The market certainly has changed since then, but the fundamentals are still the same. If you are interested in learning more about the country lifestyle and a more sustainable and long lived way of life, lets’ talk. For 39 years I have been in the real estate business on Maui, owning or managing three firms and over 2000 transactions. My team, my son Jeremy Stice, and my nephew, Tim Stice, work with me and do all of the things I don’t do well, like tweet and talk Facebook as well as really being on top of the real estate game as top producing sales agents. An opportunity to consider is a parcel Tim and I are offering at 160 Nahele Rd. in Haiku (read about it here). It is five acres, a big house and cottage with a swimming pool and hundreds of palms that is actually two parcels which would allow another house and cottage. 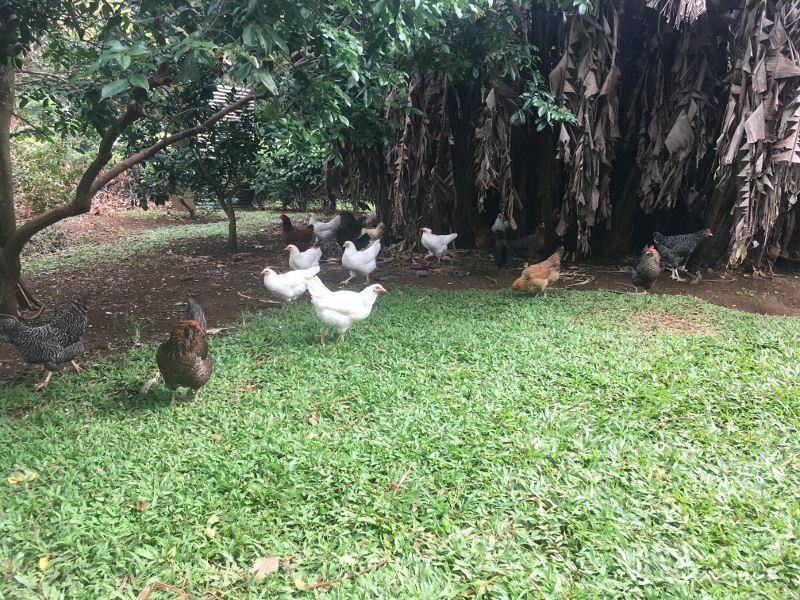 For a big compound, all agriculturally zoned, and only 7 minutes to Hookipa Beach Park, you can escape the rat race. Older PostLife is Bountiful in Hawaii - Yours Can Be Too!